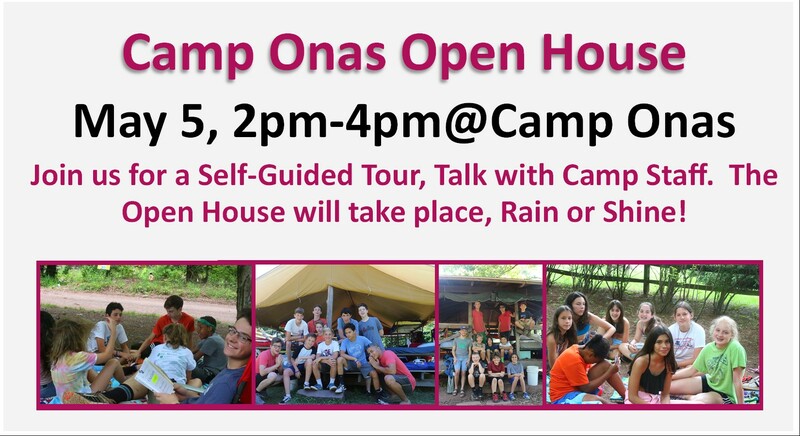 Join us for the Camp Onas Open House, May 5, 2-4pm. The Open House is geared toward campers who will be joining us for their first session this summer, and those who are considering Camp Onas in a future summer. See you there! The Open House involves a self-guided tour of camp and stations where you can speak with staff about different aspects of camp life. Please dress in layers and wear sturdy shoes. May weather can be a bit unpredictable… but the Open House will be on, Rain or Shine!